TJ Johnson feels delighted when people swing by Urban Futures Farm seeking fresh tomatoes for dinner. After all, he’s not just helping his Eastside neighbors build a better BLT sandwich—he’s building relationships and environmental awareness, as well. Over the years, Johnson has found multiple ways to live this passion and share it with others. 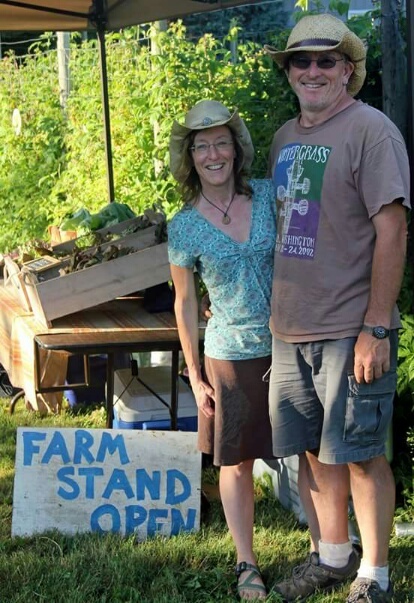 He’s been active as the director of Sustainable South Sound’s Local Food Systems Program. Additionally, Johnson teaches about agricultural and food policy as a visiting faculty member at The Evergreen State College. 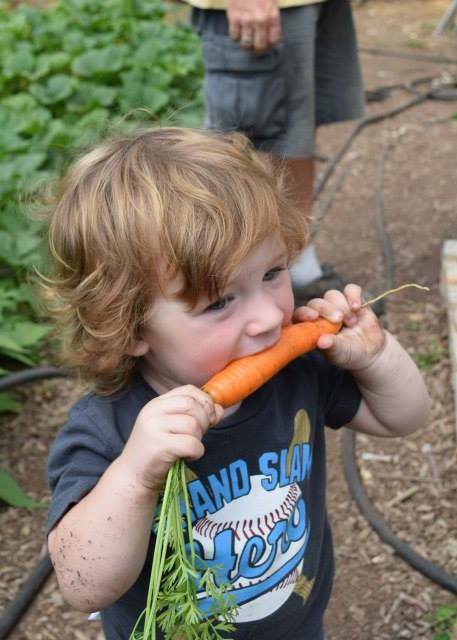 Urban Futures Farm offers a kid-friendly experience. Five years later, the circumstances were ripe for change. The previous landowners were ready to retire right when participation in the community garden had temporarily dipped. Even so, the Johnsons were mindful of community needs as they took over the farm. “Everyone who still wanted to garden found a place to garden,” says Johnson. 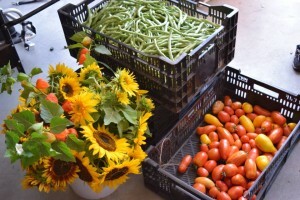 Johnson continues the farming practices first fostered by the Wendell Berry Community Garden. “I start with the premise that if you want great-tasting food you need great soil,” he says. 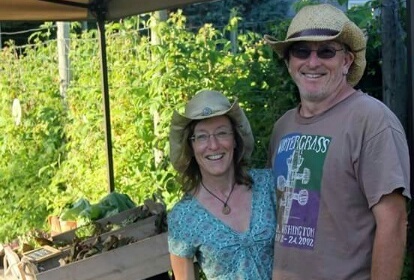 Accordingly, he’s been building the soil for the past five years through sustainable measures such as composting, cover-cropping, and crop rotation. The farm also benefits from highly efficient drip irrigation systems and pollination from the two on-site honeybee hives. It’s well worth the time for a tour. The farm is beautiful. Sunflowers nod their cheerful yellow heads over a variety of bountiful food crops. Several turkeys cluck contentedly in their clean, spacious coop. And the air carries a delicious perfume of dried grass and wild blackberries. 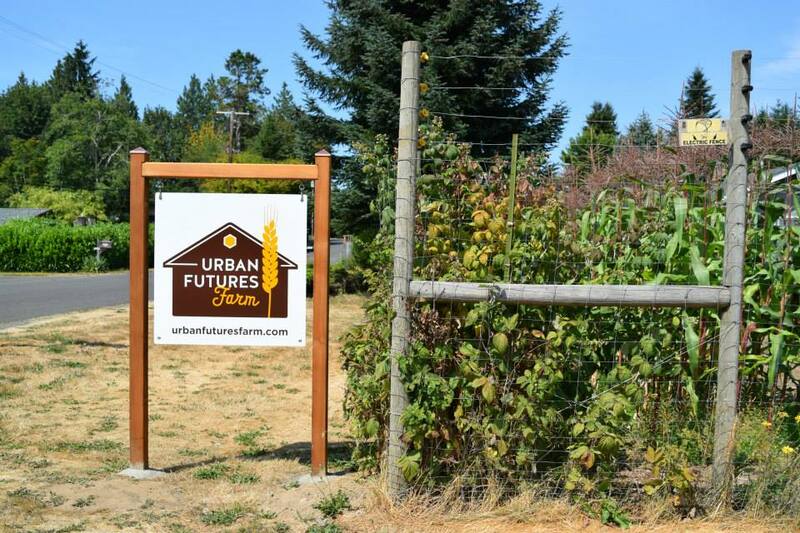 Urban Futures Farm is located at 928 Wilson Street NE in Olympia. Best of all, Johnson happily offers up interesting facts and nibbles of produce in equal measure. It’s fascinating to learn how our collective history and future can coexist on one piece of land. For instance, Johnson and his wife grow hops descended from pioneer George Washington Bush’s crops. These were the first hops planted in our community over a century ago and now their vines grace a fence enclosing a small grain field. Johnson is participating in grain trials using wet-climate friendly seeds from Washington State University. “Growing grains on a small scale is fabulous for the soil,” he says. “Plus it lowers our carbon footprint and ensures better food security.” From winnowing to grinding, Johnson can process the grains on-site. This edible experiment has huge implications for environmental and economic stability, but the local food movement is important for another reason entirely: flavor. “When you get something that came out of good soil that day it tastes very different than food trucked into a grocery store,” Johnson says. The fruits of his labor certainly support this statement. The farm’s carrots have a sharp tang and satisfying crunch; the tomatoes’ glossy red skins stretch over plump, firm flesh. Take a stroll by their farm stand and you’ll inevitably be tempted to buy some succulent squashes or beautiful beans. 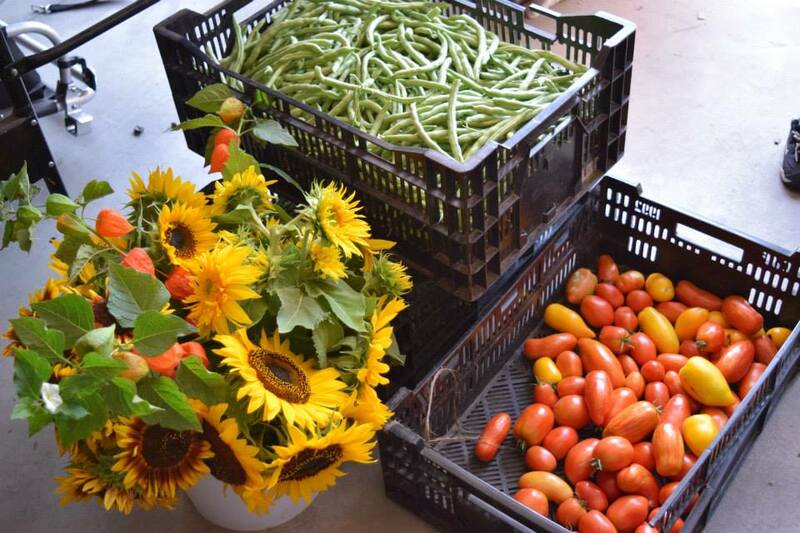 Stop by the farm stand for delicious produce and beautiful blooms. 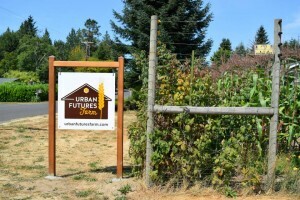 The Urban Futures farm stand is located at 928 Wilson Street NE in Olympia. Currently, it’s open on Wednesdays from 5:00 p.m. to 7:00 p.m. and Saturdays from 9:00 a.m. to noon. Next year, the farm will also offer a CSA. For more information, check out their website or call 360-338-8654.